Brave Medraut is a fitting heir to the throne—but he can never be king—in this fantasy retelling of the legend of Mordred from the author of Code Name Verity. Medraut is the eldest son of High King Artos, and would-be heir to the British throne—if not for an unfortunate circumstance of birth. Instead, his weak and unskilled half-brother, Lleu, is chosen as successor. Medraut cannot bear the thought of being ruled by the boy who has taken what he believes is rightfully his. Consumed by jealousy, he turns to Morgause, the high king’s treacherous sister, who exploits Medraut’s shame and plots to take over the throne. But when Medraut discovers Lleu’s inner strength and goodness, he finds his battle is not just with the kingdom, but with the demons inside himself. Now he must choose where his allegiances truly lie. 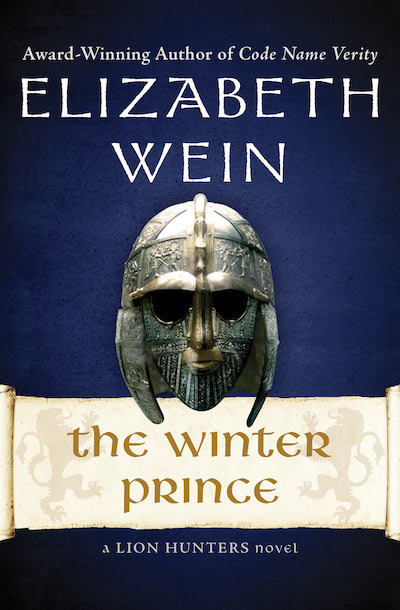 Perfect for readers of Robin McKinley and Jane Yolen, The Winter Prince is an “engrossing” novel that “fantasy lovers and devotees of Arthurian legends will enjoy,” from an author who has won honors ranging from the Carnegie Medal to the Edgar Award (Booklist).